Join us at 2pm SLT today, Monday 5th November, for the new episode of Designing Worlds at our studio in Garden of Dreams. It’s the 5th of November – the day when the UK celebrates the defeat of a plot by religious extremists to blow up the Houses of Parliament (the year was 1605 and the religious extremists were Roman Catholics – which does rather demonstrate that this sort of thing has been around for rather a long time). In the United Kingdom, we celebrate with Firework Parties – a popular name for the celebrations is “Bonfire Night”. 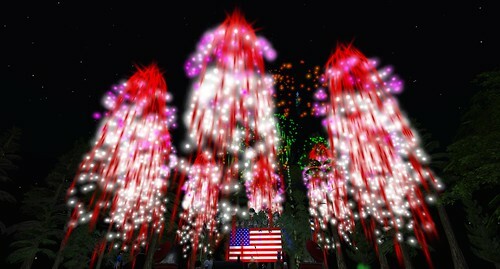 So we decided to celebrate on Designing Worlds by taking a look at Second life fireworks, and how they are used. 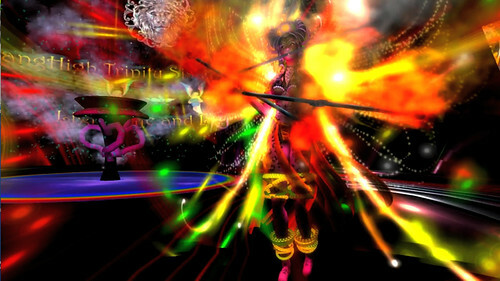 There are lovely displays from a variety of fireworks makers – including Freddie Bleac, Damanios Thetan and Loki Eliot, with displays staged by Elizabeth Tinsley, Marianne McCann and Loki Eliot – and we see how the ChangHigh Trinity sisters use fireworks in thei amazing routines. And there’s a peak at an old Designing Worlds show (it was MetaMakeover then!) when Elrik Merlin made his very first appearance on the show, talking about firework tradition. All in all, this is a very fun – and very beautiful – show – make sure that you don’t miss it! So do come and join us at 2pm! 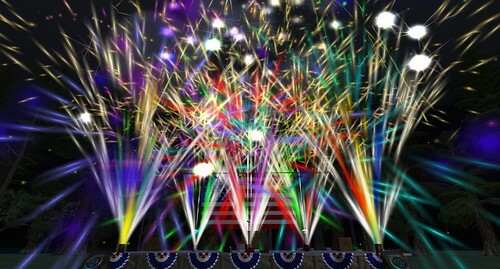 Next Post: Designing Worlds has an explosive show!